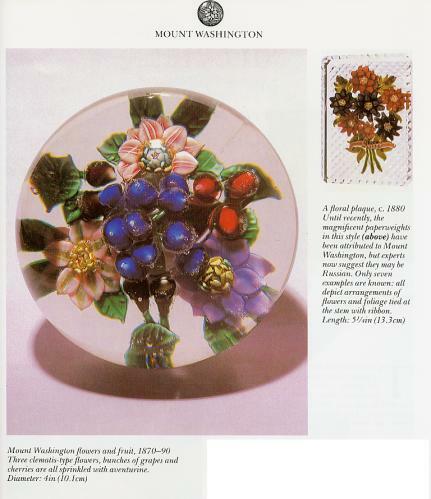 This is a good introduction to the subject of collecting fine glass paperweights. The emphasis is on antique weights from France, Britain and the US. Only a short section discusses modern weights. 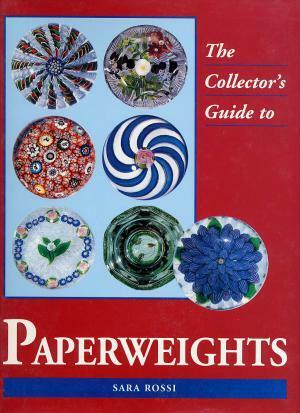 A short buyer's guide is included which discusses what makes a paperweight valuable. This is not a price guide. 96 pages with many color pictures. Hard bound. 9 1/4" by 12". 1996. Click on the picture to see some pictures from the book.